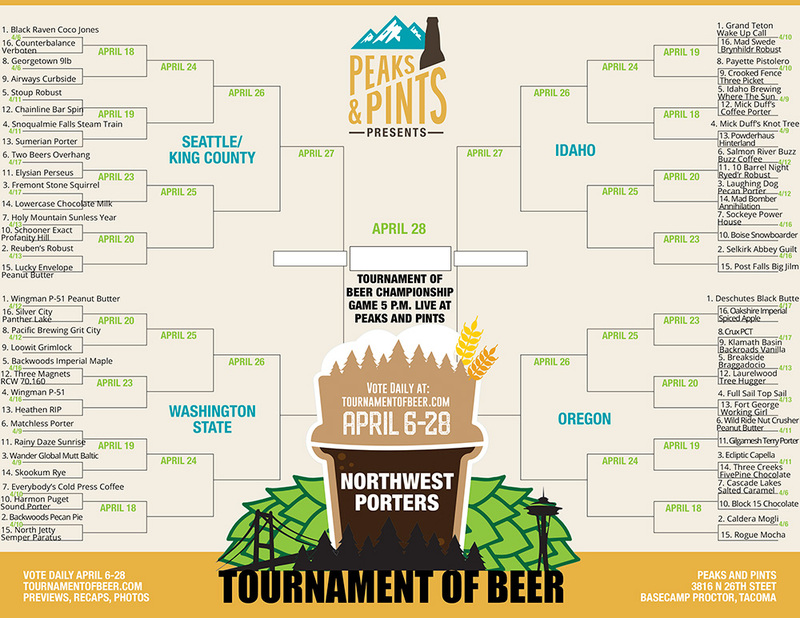 Tournament of Beer: Northwest Porters – Let the games begin! Poor Porter. What was once the most popular style of ale in 18th century London, Ireland and the American colonies – beloved by George Washington and a possible business adventure for Thomas Jefferson – the Porter fell on hard times. Roughians Pale Ales, Mild Brown Ales and Stouts shoved beer foam in Porters’ face, eventually taking over Northern European taste buds. In mid-19th century America, German immigrants opened their long mohair coats with larger beers dangled inside, winning the hearts of Blue and Gray, as well as the Gold out West. Oh, but Porter once had supporters. In the early 1700s, it was common for London pub patrons to ask for blends of the various available brews. Historical documents say the Brits called their mixed beer beverage “Three Threads” using a third of a pint each of ale, lager and a strong brew called “Twopenny.” Eventually, bartenders told the Three Threadheads to take a flying leap off the London Bridge. Around 1730, a brewer named Harwood came up with a solution. 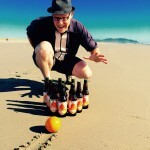 He re-created the flavor of Three Threads into a single craft beer called Entire before it reached the pub. This beer came to be loved by porters and other physical laborers, and so earned its name, Porter. But, a century later, PBS — Browns, Pales and Stouts — grabbed the public dollars, pushing Porter to the postern. It wasn’t until the late 20th century when bearded guys in Jean Vigne T-shirts, better known as American craft brewers, pulled the Porter out of the scrap heap, strapped on their prize power over finesse bibs, highly hopped the brew, incorporated smoked malts and placed it on a pedestal. The new American brewers created a smooth, balanced, dark brew with subtle roasted-malt flavors of coffee and chocolate bound by a sort of tart, minerally twine. There’s an even better way to show your love for Porter. Over the next three weeks, Peaks and Pints pits 64 of the Pacific Northwest’s best in a head-to-head battle of porters. This is a tournament, folks, not a playoff. Each match is do or die — one misstep and you’re out of the dance. Added too much Crystal malt, mash temperature too low for a full-bodied mash schedule, and you can pack your brewer’s paddle and go home. We speak, of course, of the Tournament of Beer: Northwest Porters. Sixty-four porters from Washington, Oregon and Idaho were selected and seeded by the public March 1-15, and now the time has come to see what porter reigns supreme. Only one can be crowned king — so vote on this website daily. The top 64 vote getters — the cream of the malts — will compete Monday through Friday right here, April 6-28. Through online voting, porter drinkers will pick daily winners until the best porter in the tri-state region is crowned. It’s just like March Madness, only with way more Fuggle hops. Use the bracket below to guide you through the daily matchups or pick one up at Peaks and Pints in Tacoma’s Proctor District. The Northwest porter grand champion will be announced at the Tournament of Beer Party, April 28, at Peaks and Pints, 3816 N. 26th St., in Tacoma’s Proctor District. The final two porters will battle live pouring from our Western red cedar tap log with the champion brewery receiving a permanent handle at Peaks and Pints through the spring and summer 2018. OK, let’s do a quick liver-size check, and dive into today’s First Round porter battles. Vote for one porter per game. Voting for today’s porter battles ends at 11:45 p.m. Player Stats: This beer has a storied history at Black Raven Brewing Co. It was first brewed back in 2009 as a variant of the Redmond, Washington brewery’s Tamerlane Brown Porter, infused with toasted coconut. 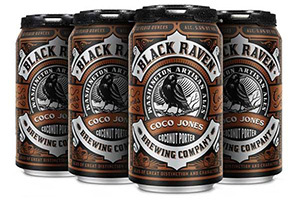 When customers went cuckoo for Coco, Black Raven decided to enter it in the World Beer Cup where it won a gold medal (category: herb/spiced beer) in 2010, as well as the 2017 Washington Beer Awards in the same category. Tournament of Beers governing body wasn’t a surprise when the public voted Coco Jones a number one seed in the Seattle/King County region. It’s tournament competitors might dwell on its brown ale like qualities. They’ll have to. Coco Jones has raven sharp vision set on the trophy with a ton of coconut, cacao and molasses to back it up. 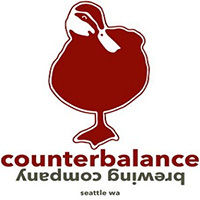 Player Stats: The core of the Counterbalance Brewing Co. players, Frank Lawrence and Jeff Howell, met in their previous careers with Seattle specialty coffee mainstay Caffe Ladro. In their respective roles as Project Manager and Operations Manager, Frank and Jeff developed a great working relationship, a mutual desire to enjoy life and a shared love of great beer. This isn’t the Tournament of Coffee, which suits these two fine since they took their love for homebrewing and went pro in mid-2013 opening Counterbalance Brewing Co. in Seattle’s Georgetown neighborhood. Last month, University of Maryland-Baltimore County pulled off the most shocking upset in NCAA Tournament history, defeating Virginia to become the first No. 16 seed ever to beat a No. 1 seed. Counterbalance’s Verboten Porter has the ingredients to pull off an upset. It has a huge roasted malt nose and toasty, smoky coffee bean, chocolate and black pepper flavors. Player Stats: Go to the curbside porter and check in booth for your airline, typically located by the entrance doors of the airline on the “Departures” level of the airport. Give the porter your identification and flight information. She will take your luggage to the outdoor check in booth to weigh it, attach the destination tag and send it into the airport to the plane. Wait. Sorry. Wrong curbside porter. 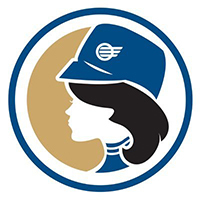 In 2010, Alex Dittmar combined his homebrewing passion and love for 1960’s big jet airliners opening Airways Brewing in Kent, Washington. Seven years later, founder and head brewer Dittmar and crew operate out of much larger facility in downtown Kent. Dittmar brought his former Alaska Airlines job with him with an airline industry theme throughout his taproom and craft beers, including Curbside Porter, a creamy, nutty and delicious London-style porter brewed with East Kent Golding hops. 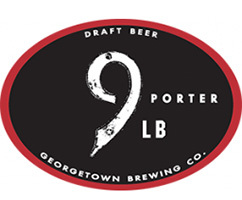 Georgetown’s 9lb Porter vs. Airways Curbside Porter: this will be a heavyweight battle. Player Stats: Cascade Lakes Brewing Company was part of the first wave of craft breweries to open in Central Oregon. Founded in 1994 by three enthusiastic brothers at a small brewing facility in an airport industrial zone and sold six years later to become a state-of-the-art big barrel brew house, Cascade Lakes Brewing Co. has its game face on, and it’s a little salty. 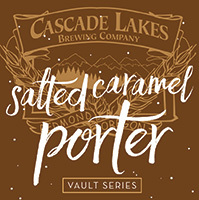 The brewery’s Salted Caramel Porter is a year-round beer, not seasonal like many others of the same ilk, which is to its advantage. Most craft beer drinkers are suckers for salted caramel and this porter hits the spot with caramel flavor, milk chocolate and a little salt. It’s basically a beer as advertised. After a few sips, its flavor profile falls somewhere between caramel brittle and salted caramel ice cream. If Cascade Lakes offers patrons a bowl and spoon during its tournament run, then game over. Player Stats: Travel to a time of brewer’s lore, when smoke was spelled “smoake,” when dark beers held the collective hearts and minds of the people of merry old England. Believe it or not, back in the 1850s, porter ruled the beer world, and no one brewed porter like the brewers of London. Drawing their water from the Thames, blending old and new batches, and experimenting with new types of malt, porter evolved throughout the years, and probably at one time held some substantial smoakiness. Block 15 Brewing’s London Porter draws on this rich historic tradition, but adds a few special twist to make it all our own — chocolate. Extra Chocolate malt. And, well, chocolate. Some would drink the brewery’s Sticky Hands imperial IPA every day and call it a good life. Those interested in the Tournament of Beer swear by the Chocolate Porter. Block 15 will block hard with cocoa powder and semi dark chocolate bar in the aroma. Its real game plan is its flavor, which definitely leans heavily to the sweet side, but balanced by a light roast, dry, bitter finish. Player Stats: Caldera Brewing Company’s colossal brewery sits just off Interstate 5 near Ashland, Oregon. The brewery honors the passing of a beloved pooch named Mogli with its Mogli bourbon-oaked chocolate imperial porter. Both the style and the beer are a mouthful. The more we smell this craft beer, the more we are reminded of s’mores. We pick up slightly burnt marshmallow, powdery graham cracker and a lot of cocoa. Tucked beneath those notes were some toffee, charred oak and a bit of mocha. The taste opens with a lot of sweet cocoa notes, mixed with roasted malt, espresso and burnt chocolate. Marshmallow and a touch of coffee-like acidity and burnt brownies round out the flavors. On paper, Caldera has the more talented porter than its competition today (multiple award-winner), but as we all know the Tournament of Beers isn’t played on paper (it’s played with finger tappings). 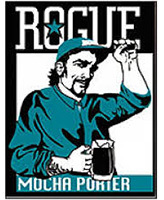 Player Stats: In May of 1989, John Maier arrived in the small Oregon coastal town of Newport just in time to create Rogue Ales brew #1. Twenty-eight years and more than 20,000 brews later, Maier still rides his bike daily over the Yaquina Bay Bridge to the brewery where he continues to create innovative brews that have garnered international acclaim. One of the pioneers in the craft-brewing world, Rogue consistently puts out award-winning beers year after year, winning gold in national and international competitions. Its Mocha Porter hits the nose with coffee beans, light espresso, roasted malts, dark chocolate and some sweet creamy milk notes, followed by balanced bitter, mocha coffee, roasted malts and dark chocolate — what you get in the nose but the roastiness is stronger. Will bracketologist (read: readers who seeded this thing) believe they’ll be voting for seven-time Grammy award winning soft-rock hit maker John Mayer? The votes will tell.